An Open Letter to the Elite Davos Gang chilling on top of Maslow's Pyramid | "Blogging by the Road not Taken"
I have lived a decent privileged life with family in India before starting a new life in Italy from scratch. My interactions with people across the economic stratum allow me to understand a few different perspectives of the stake holders in global economic growth. Was reading this article in NY Times: Davos Elite Fret About Inequality Over Vintage Wine and Canapés , and the first thing to enter my capitalist mind was that if such luxury goods do not take money away from the rich, what will? Surely not the taxes. The author brings up genuine concerns that there is much more the elite rich can do to decrease inequality from the unfair benefits of technology and globalization, although the world has never been a better place to live. That is if you consider how technology and globalization has helped eradicate diseases, improve education and also mollify the hardship of manual labor. A look at the unemployment problems faced by the locals in developed countries, shows a mis match of skills and requirements. While the developed world can benefit from hard working migrants, they can also benefit from foreign investment. By this I mean, retail investment from professional who work abroad. When jobs are outsourced it makes me think that the problem is not with globalization, but something else. There has to be a win-win situation that is being completely ignored. I see an incomplete equation in the process of globalization. It is very easy for money or a job to flow out of the developed world, but not that easy for money to enter back into the developed world as an investment rather than an expense. By this I mean to say that sending remittance or outsourcing projects to a lower wage developing country has never been easier. But on the other hand, the average MNC employee at a lower wage developing country would find it very difficult to invest his small savings back in the developed country. He would only be able to contribute back when he spends high brokerage FX as a visiting tourist on visa. As a shrewd 29 year old Indian male living in Italy for over 6 years, I am yet to invest in Italian equities. I have always found it easier to give my money away to the same concentrated rich pockets, rather than to invest in some of their future cash flows. Not only do I not receive any interest on my bank savings, but buying equity in the developed world seems to come with massive brokerages and other bureaucratic hassles. What about us small fish? The bottom line here is when will FinTech enable me to efficiently invest my pennies in the cash flows of the developed world? The only European asset easily accessible to the average person around the developing world is the Euro. Hoarding of currency or gold is not the optimal way to ensure free flow of money i.e Economic activity. The financial decision makers or the big bankers seem to be constrained with a lack of perspective. They sip on their vintage wine and ponder about Paretos 80:20 principle (or rather 99:1 principle in this case) , of selling their investment services only to the rich to make them richer. Mean while they ignore the plight of the ignorant masses. Bitcoin seems interesting. Virtual currency that booms with illegal activity. A bitcoin ETF will be dramatic and the volumes need to be churned to good use. Finally, the retail investor may have an opportunity to invest anywhere in the world without entry barriers. Just hope it is not too good to be true. I find it very absurd to see how easy it is for me to spend, but so difficult for me to invest. Understand this concept of the “Paradox of Thrift”, where individual thrift may be desirable but not collective savings. But I still vouch for what the Austrian economist Friedrich Hayek said, in today’s intermingled world. Increased savings will lead to increased lending to boost demand. If anyone is forced to spend for basic necessities, let it be the state and not the individual. Creating more jobs to boost spending is like feeding Mr. Goose a strict minimum diet. He may continue to lay a little golden egg everyday. But instead, if you allow Mr. Goose to invest a little of his energy to wander around to find some nice farm fresh grass, he may end up laying a much bigger golden egg. Even better, Mr. Goose may learn that his droppings cause larger plant growth and thus more food for later. Mr. Goose might also hook up with a female goose after sharing some of his green grass with her. They may reproduce a flock of golden egg laying little goslings. Speaking about goslings, the top of Maslow’s Pyramid seems like a fantasy La La Land, where the super rich fail to see why the others cant take advantage of the vast resources available to dive in to entrepreneurship or business ownership like them. While Business Insider explains pension funds to millenials, hard working laborers need to be educated more on Finance. To understand how they can become an owner from an employee is the only way out of poverty. I understand that you the Elite Gang at the Davos World Economic Forum have your hands full. You must be overwhelmed with loads of ideas from experts drawing in big paychecks. But in your continued efforts in bringing the horse closer to the water, my advice is to also promote saving and investing among the masses. This will would allow the masses to rise up the Pyramid to a minimal level. A level where they can finally take the plunge in Entrepreneurship. 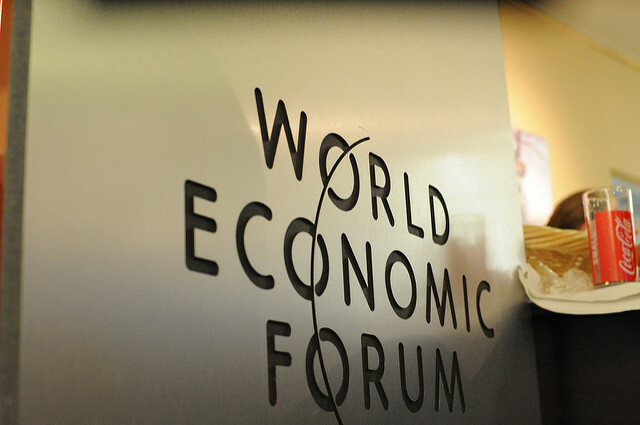 How to get invited to WEF Davos? The only reason you are all meeting up at expensive swiss resort town Davos is because you are all highly invested across the global economy. Imagine how happy I would be sipping Coco Cola if I owned a small amount of equity in that company? How much more I too would donate in charity. Why cant we make our parking fines into forced investments. Why have a Good and Bad option, when you can have Good and Better options. There will always be a Lion in a world that wishes to remain organized like a Jungle. Fittest to survive is like hunting for food. Not good when you have too many hunters around. Instead you should encourage agriculture and productive work that gives consolidated returns. That has led to the development of community living after all. I keep referring to the analogy in Farming and Entrepreneurship a lot. A farm is after all one of the first business ventures. You could definitely barter your harvest with a farm. Similarly, Entrepreneurship teaches you to work hard and protect your investments from risks. To stay patient and remain determined. Referring, to Steve Jobs’s connecting the dots phrase, Investing seems to be the second last dot connecting me to Entrepreneurship. Investing increases my vested interest in profits from a growing world economy. This kind of consumer spending that comes with a Warren Buffet smile, is what the populist masses need. To feel in control, to be able to buy an income generating asset with minimum hassles. To practice delayed gratification with their earnings to build enough assets to rise up the Pyramid. If Entrepreneurship is making the horse drink the water, then Investing is bringing the horse near to the water. UPDATE: Have a look at this very insightful debate on universal basic income at the World Economic Forum. Guy Standing really brought in a lot of sense to the discussion. Though, I will not agree with Amitabh Kant on the merits of demonetization and the idea of giving out only loans even 0%. I prefer it to be a mix of free basic money and a little 0% interest loan on top. This I say based on no research and just plain old feelings of relishing a deal like that to work harder for the common good. Present situation drives us to be selfish and money oriented on every small thing. Look at me monetizing this blog with ads though I hardly have regular readership. Click here to read more on Universal Basic Income.